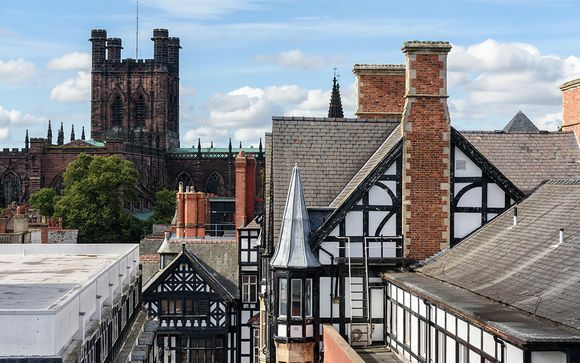 The Hallmark Hotel Chester The Queen boasts a Victorian façade that stands out as a beacon of elegance amongst the dozens of Tudor homes and narrow streets of Chester. 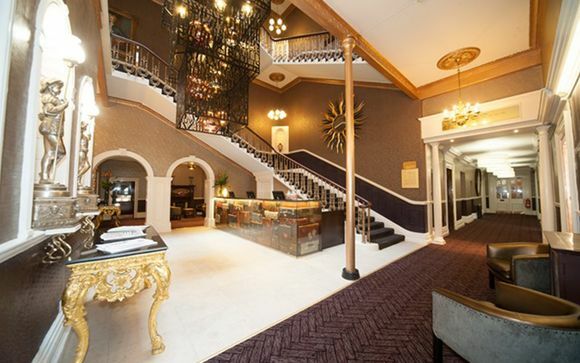 This historic hotel has seen the likes of Charles Dickens, Lillie Langtry and Cecil Rhodes, and thanks to a new refurbishment, is waiting to welcome you to a relaxing and indulgent minibreak. From the moment you enter its elegant lobby and admire the ornate decor, you will see this regal property is fit for Kings and Queens alike. 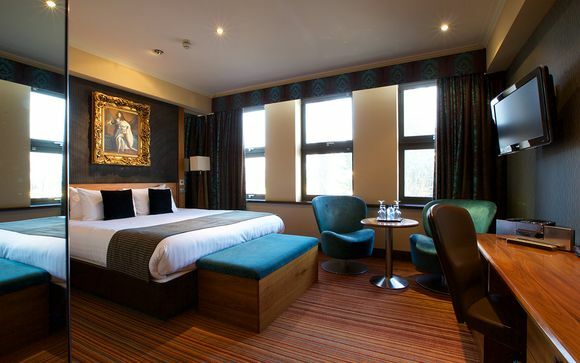 In addition to ideal location in the city centre and next to the railway station, the Hallmark Hotel Chester The Queen offers spacious rooms and a vivid attention to detail. 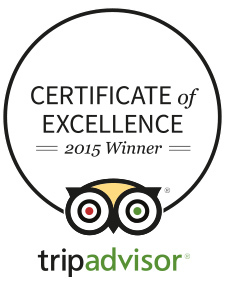 Perhaps most intriguing is the hotel's 2 AA Rosette Award Winning King's Grill Room Restaurant. Serving gourmet cuisine alongside the longest cocktail list in Chester, it is a cosy and romantic setting for an unforgettable meal. The city-chic Executive King Rooms are located in the brand new Kings’ Quarters and offer state of the art technology including digital mood lighting and climate control air conditioning. The bedrooms (215 ft²) all follow individual royal theme and have been decorated by an internationally renowned designer using the very best furniture and fabrics. Rooms feature a spacious seating area, private en-suite bathroom, satellite TV, and other comforts you require during your stay. Feeling extra peckish? Why not treat yourself with our optional dinner package? Enjoy a Three Course Evening Meal served in the AA-Rosette Awarded King Grill. You are able to upgrade to this option for an additional fee at the next stage of the booking process. Our members will receive complimentary breakfast each morning. Enjoy a fueling meal before setting out to explore Chester. This incredible breakfast menu features a staggering 103 items! 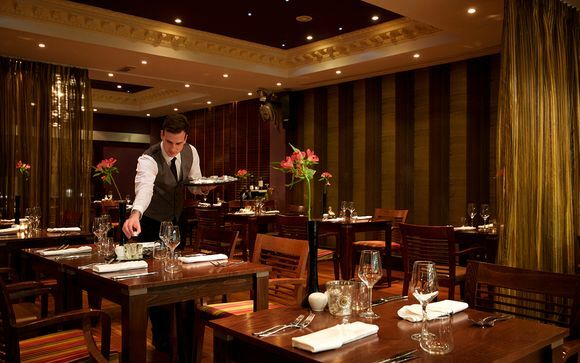 Dining in the Kings Grill offers more than just an average hotel evening meal. Many locals and visitors alike give the cuisine at the Kings Grill a confident seal of approval. Based on the finest seasonal and locally sourced ingredients, this modern British menu of has been impressively awarded two AA Rosettes. Tantalising dishes include Somersby cider braised belly pork, hot smoked sea trout with juniper berry ashes and butternut squash emulsion, as well as several cuts of premium quality 21-day aged beef selected by Williams Butchers of Flint.